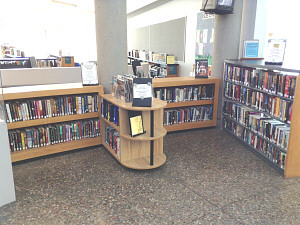 The Friends of the Pacific Beach Library is pleased to offer a specially curated collection of eclectic books for sale to the public. Covering a wide range of topics, these books include old and new, used and like-new volumes as well as occasional books that have been withdrawn from the library's holdings. These books are not offered for sale in our on-site bookstore; but are available for online purchase exclusively through our association with amazon.com. Not only do we strive to keep our sale prices very competitive; but every penny we make goes to provide new book acquisitions and public programs for the benefit of library patrons. The online inventory is updated frequently, and you never know what treasure you might find. What better way to enhance your personal book collection while supporting the services offered to the public by the library?